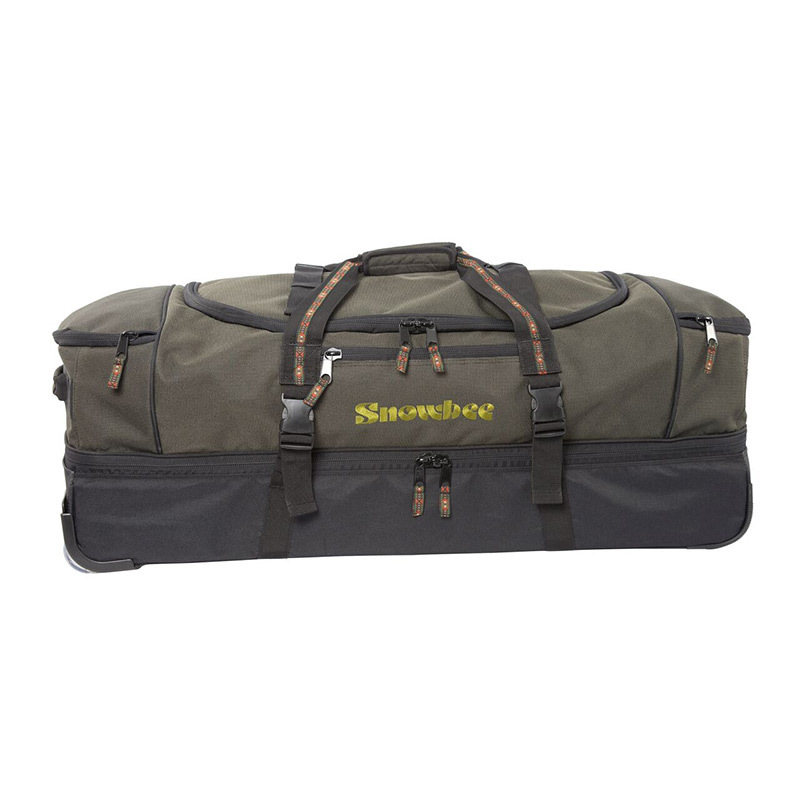 The Leeda Tackle Box System offers the ultimate storage and transit solution for any angler. 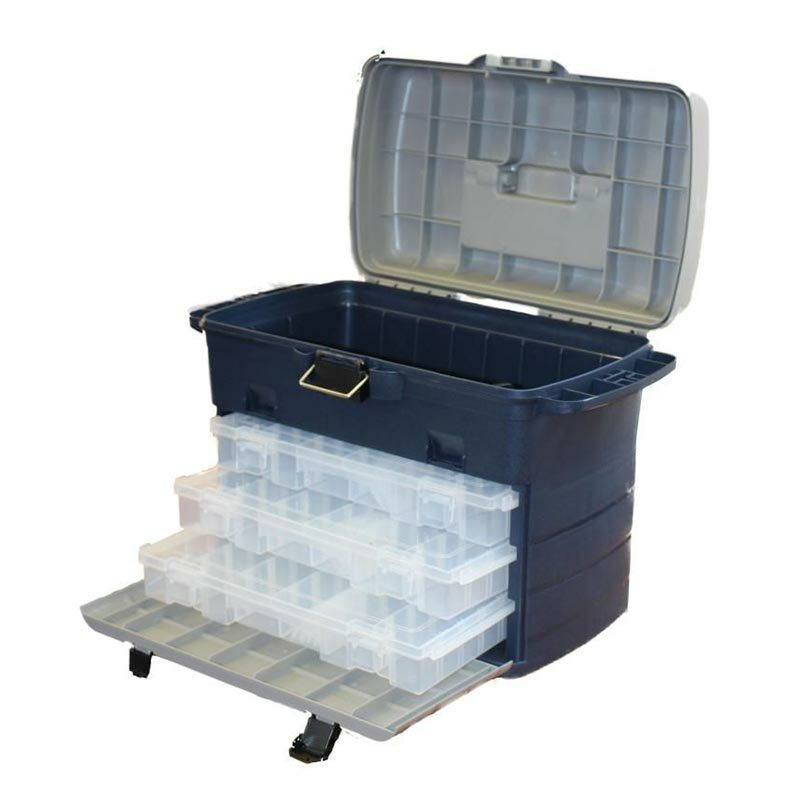 This tackle box is made using saltwater resistant clips and fittings and high impact resistant plastic, the tackle box system is the perfect choice for anglers who fish in fresh or saltwater. 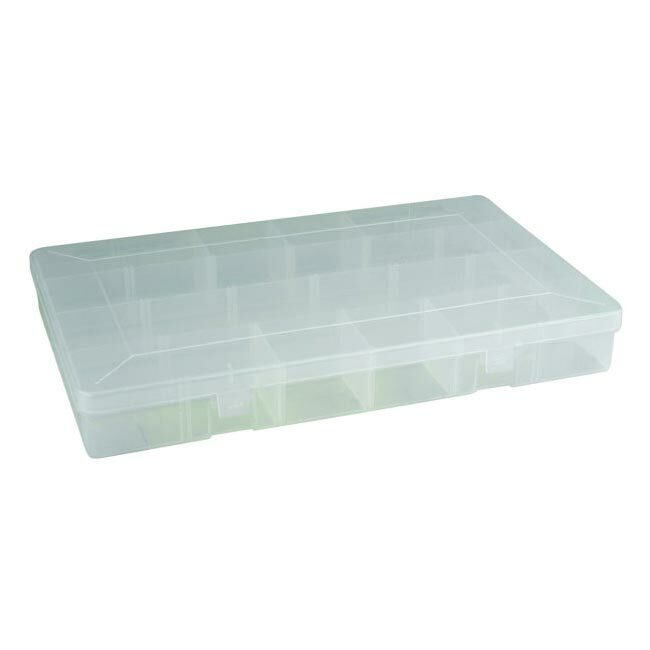 Included in the box are 3 x large lure / tackle boxes with removable dividers to help carry smaller tackle items and accessories. 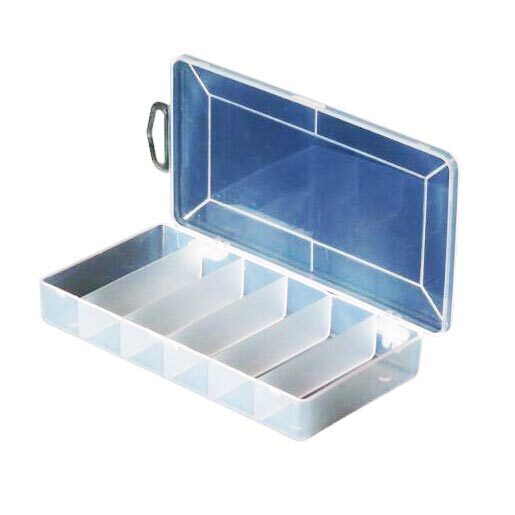 The top compartment is large enough to hold large reels and bigger items such tools, a flask or lunchbox. The box also features a fully adjustable and detachable shoulder strap for comfort while carrying the box.